I do like finding new twists on existing 'classic' cereals and this week Tesco has a doozy. 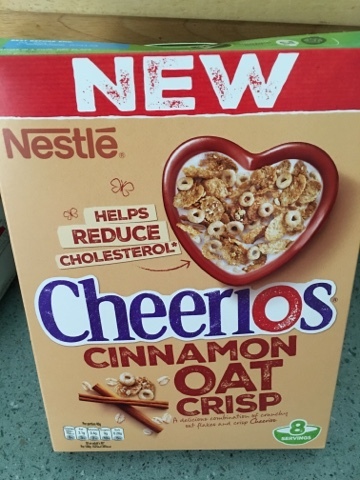 Here we have Cheerios dusted with that most American of flavours - cinnamon. Well, almost. 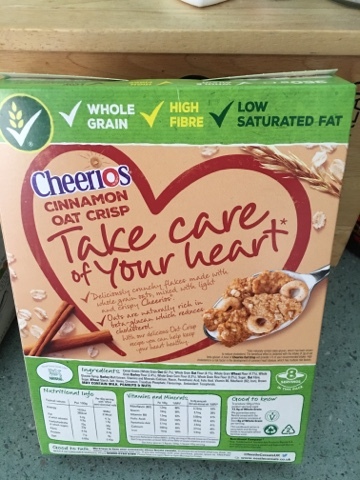 The flavour seems mostly to be on the oat crisps that have been added in as a nod to healthiness. This isn't a bad thing, it behaves a lot like Nestle Clusters but without those added nut clusters for the texture and sweetness. And much to my surprise it works well. I've never been a fan of the Cheerio by itself. While the first spoon is always really satisfying it's just too homogenous to really satisfy. This however has variations in flavour intensity and texture and the milk at the end is all cinnamony. 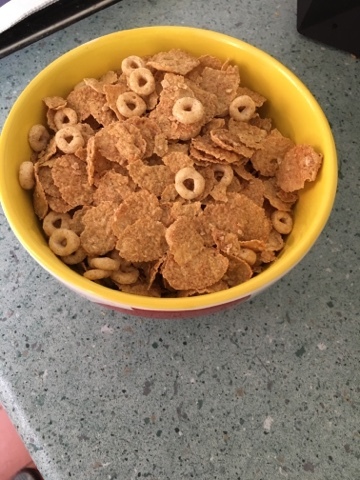 With my size bowls you really don't get 8 portions in a box though, I do admire them for adding this detail to help with those who are calorie restricting. In the end then it's quite similar to clusters in that it's a lovely proposition but the boxes are a little small for the price (and last four days if I'm skimping) so will remain an occasional treat, but one that I hope sticks around for a while.